The excursion which forms a part of the so-called agro-tourism program was first introduced in 1987. The tea plantation tour was initiated by the government of Indonesia through the cooperation of several state-owned plantations and various travel bureaus. Different agencies offer a different package of the tour. Some opt for the simple visit the plantation and factory program followed by tea and lunch. Others add a cultural show to their tea and lunch hour. Some even offer an overnight stay at the plantation villas. 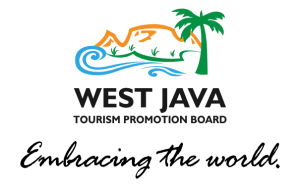 The price offered by agencies in Jakarta and Bandung. Compared to the difficult terrain adventure travel, tea plantation tour is more comfortable. Therefore, this tour is guaranteed to bring fun to persons of all ages. In fact, for some it can even become a link to the history of their forefathers. Tea first came to Indonesia in 1720, courtesy of the Dutch colonists. The Dutch government carried out experimental planting in Java using seeds imported from China, but the attempt failed owing to lack of funds and expertise. It was only a century later when a man by the name of J.I.L.O. Yacobson succeeded in creating a major plantation in Bogor. Today, Indonesia has become the fifth largest producer. For those who are more interested in the tea itself rather than in the panoramic beauty of the tea plantations or the delightful taste of the tea, there is the tea research laboratory in Lembang. Some agencies can provide the guidance to the uncovering of the mystery of tea leaves. For local tourists, tea plantations become a perfect place for outdoor recreations and sports. Every Sunday mornings, Gunung Mas tea plantation in Puncak is swarmed with city people looking relieved of having been able to escape the noisy city life. The casual walk along the winding paths between the tea shrubs is now called a “tea-walk”. The hilly paths of the plantation also provide an exciting arena for mountain cycling. This sport is becoming more and more popular, and the plantation offers greater challenge than the roads. It’s very refreshing; of course, the atmosphere is not like what it used to be, when people were there just for a picnic. Today, people are there to do almost anything, from hiking to hang-gliding. It cannot be denied that tea has brought much fame and fortune to Indonesia. However, it would be more sufficient if further steps were taken not only to promote the tea, but also the history, the knowledge, the tradition, and above of all these, the beauty of the tea plantation. And for the first step, it can begin promoting them to local tourists, to those who walk on the soil where tea-shrubs are abundant and where tea should not be taken for granted. In West Java, the largest tea plantation areas can be found at Puncak, the Gunung Mas, at Pangalengan, the Ranca Bali, and at Tangkuban Perahu. Camellia Sinensis, the name given to the tree, was discovered by O. Kuntze in 2700 BC in the Chinese area of the Himalayas, where tea was used as a medical herb. Now Camellia Sinensis is famous all over the world. In fact, in some countries, making tea has been elevated to a fine art and drinking tea has become an old-age tradition. Tea is a man’s best friend. Tea Plantation in West Java is pledge of economy and export in this province because the market is reaching 70% form production and export nationally. Beside has high economy valuable, this commodity will absorb worker and not influenced by economic crisis that occurred in Indonesia. Factors that affect tea plantation in West Java as national producer of tea are the engineering of agribusiness organization. That is supporting system and trade of tea agribusiness locally.